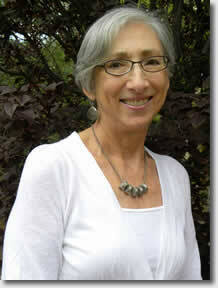 "Pat Shapiro has taken on a little-understood and invigorating topic: The real lives of women over the age of 60. In these first-person stories of women who are leading complex and meaningful lives in their 60s, 70s and 80s, Shapiro probes the dark times in a woman's life as well as her courage and willingness to re-invent herself. Each woman confronts a turning point--or several of them--and makes a commitment in mid-life or later to something that expresses her truest self…. "Pat Shapiro has given us a beautiful, insightful book that bears witness to the daring and vitality of these women. This book inspires the reader to ask: What can I do to more fully claim my own life?" "Pat Shapiro's new book, HEART to HEART: Deepening Women's Friendships at Midlife, is a wonderful blend of the author's own experiences, original interviews with married and single women at midlife, as well as highlights of pertinent secondary research. Her well-written book offers practical suggestions about how to improve friendship at midlife at the same time that it shares inspirational anecdotes and examples." "A vibrant midlife experience for women includes deepening friendships, observes Pat Shapiro in her compelling book: HEART to HEART. In fact, women often prefer the company of their friends to their husbands. If you find this shocking, read on! I learned alot about my self and my friends." "Balanced, thoughtful, lucid....Pat Shapiro's fine book explores the maternal task of 'letting go' and the creative transformations possible for women after their children leave home." This book is a powerful antidote to popular and professional mythology about the empty-nest syndrome.' Thoughtfully and persuasively argued, MY TURN will offer hope--and a gentle challenge--to every woman who reads it." "On behalf of Temple Beth El and the Adult Education Committee, I would like to thank you so very much for your most excellent presentation yesterday. I have received many positive comments from attendees and you probably have too. Again, thanks for a most enjoyable afternoon." "Your keynote presentation was a wonderful beginning to the morning." "Your discussion was an uplifting twist and a positive way to conclude the panel presentations." "As always, the comment cards were wonderful!"